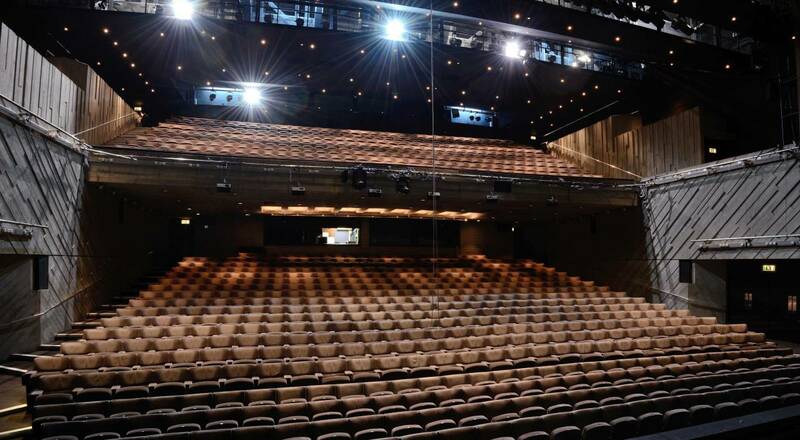 The National Theatre management decided to remove the distributed dimming from the Lyttelton Theatre and revert back to a central dimmer room. Push The Button worked with Lighting Resources to facilitate the design. Push The Button also undertook the replacement of two legacy distribution boards (TP1 and TP2) which had been looked at in previous projects by other contractors, who had all deemed them too difficult to replace. Custom Eaton MEM cubicle switch gear was designed and delivered to replace the legacy units. The project was undertaken with the Push The Button team working overnight during the Spring repertoire season and taking advantage of short long weekend closure periods. New galvanised trunking was installed from the dimmer room to all of the final socket outlet boxes, with the system cabled with low smoke and fume wiring singles. A unique solution was needed for the Portal Bridge, which although not regularly, required the facility to move up down and in and out with the electrical installation following. The Balcony Booms and Rails were delivered with custom fabricated and powder coated containment to blend in with the original 1960s concrete structure. The work was completed on time, on budget and with no interruption to the performance schedule.